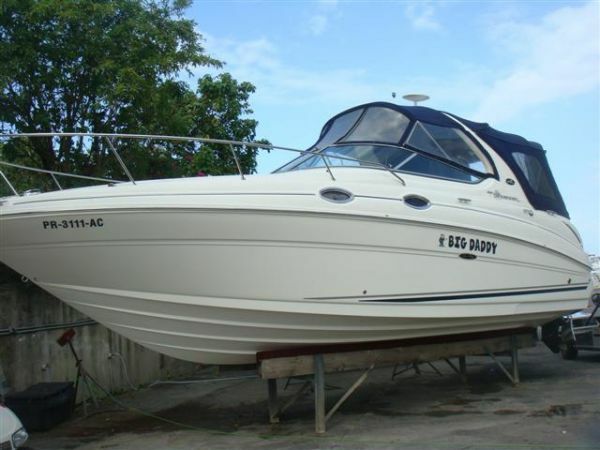 2004 Sea Ray 420 Sedan Bridge PRICE TO SELL! Sea Ray 42 offers more space than any other 42 in its category! Her 2 bedrooms and 2 heads make it comfortable to owner and guest. 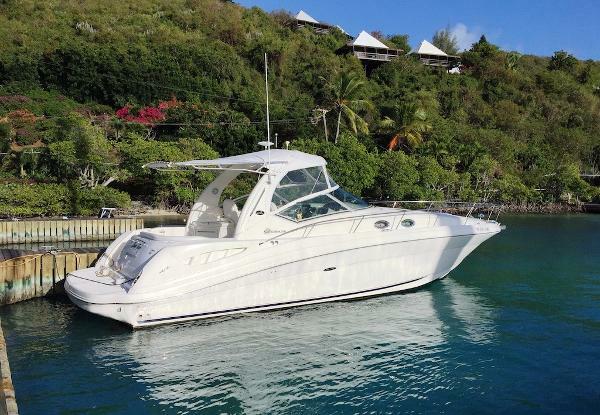 This sedan bridge cruise at a confortable 26 knots while tops 29 knots very fuel efficient. 2003 Sea Ray Sundancer Would not last! New Yanmar Engines installed in 2015 and all maintenance and bottom paint recently done! The 340 makes a great weekend cruiser and she has sleeping accommodations for six if necessary. She’s a beautiful boat with a distinct personality that you’ll never get tired of owning. This 34 has lots of upgrades for her new owner to enjoy while cruising. Some of this upgrades includes:New Twin Yanmar 6LPA-STP 315hp Diesel (2015)New Vetus bow thruster (2015) New shafts and seals (2015)Seahawk Islands 77 anti-fouling bottom paint (November 2015)All stainless steel rode 125 (2015)New Jabsco spotlight (2015)Raymarine a95 MFD (2015)Raymarine i50 Tridata (2015)West Marine VHF 580 Radio (2015)Clarion Bluetooth stereo systemCanvas aft curtains enclosing cockpit (2015) Boat is located near Puerto Rico & St Thomas. Can be shipped to anywhere easy and for a very reasonable price. 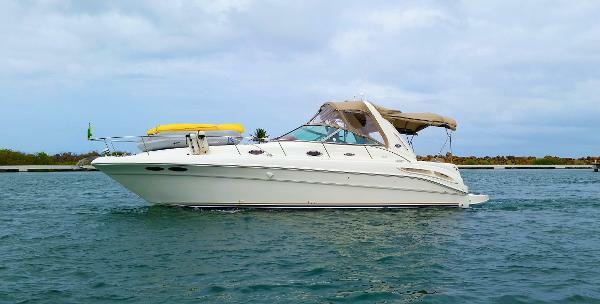 2001 Sea Ray 410 Sundancer Motivated Seller! One of the most reliable Sundancer Sea Ray has build. 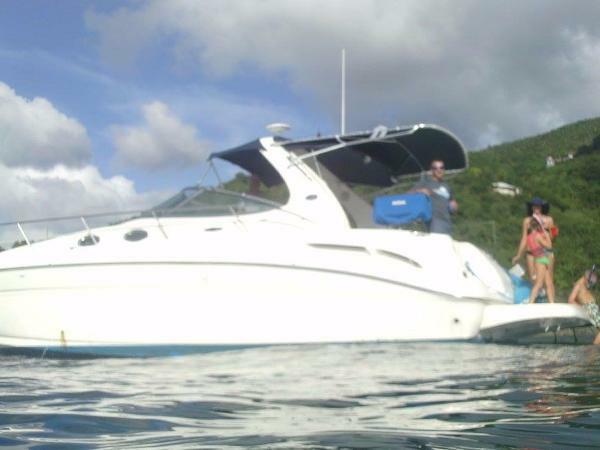 The 41 Sundancer is extremly confortable has a excellent ride and very fuel efficient. Her two stateroom, two head make this express cruiser unique. Owner just haul out and did Bottom Paint. 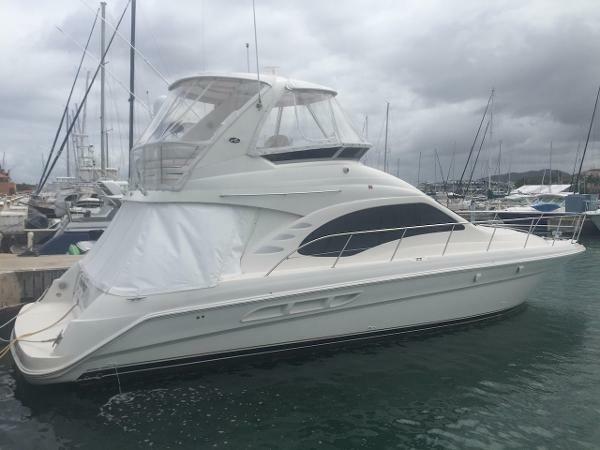 2002 Sea Ray 340 Sundancer This is a rare diesel find in a 340 Sundancer; she's very clean, loaded with optional equipment.Twin Yanmar 315hp, Westerbeke 5kw Generator, A/C, GPS, Windlass, Under water lights, VHF, Full Canvas and full Covers. The salon is entered down three steps from the port side of the helm area. One is immediately struck by her "designer feel" with coordinated drapes, tan Ultra-leather settee, cherry wood Vitracor, light tan Corian counter tops, and carpet with runners throughout. There is a U-shaped convertible tan Ultra-leather settee to starboard and a full galley to port. The galley has a Norcold refrigerator/freezer, microwave, Kenyon, two-burner stove, water heater and a sink. There is plenty of counter, cabinet and drawer space for storing food and dishes. There is a separate head compartment with a molded vanity and a sink, Vacuflush head, and shower. The master cabin is forward with a queen berth, hanging locker and lots of storage space. The mid-ship guest cabin is aft of the dinette and has a U-shaped settee that converts to a double berth. The wet bar are on the port side. 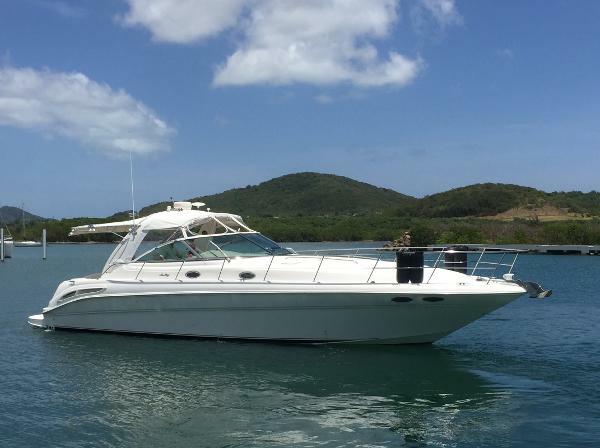 2006 Sea Ray 280 Sundancer En perfectas condiciones, Twin Mercruiser 4.3L Bravo III, Planta Kholer 5.0kw, GPS, VHF, Radio CD, Aire Acondicionado, Estufa, Nevera, Calentador. Duermen 6, Paga 1,291 y debe solo 8 años.